Surpassion Healthcare Services, Inc. will serve and respect you like family. When we care for our loved ones, we see to it that they get quality health management services. We locate professionals who exceed our expectations and fulfill the health requirements of those we love. Such professionals can be found at Surpassion Healthcare Services, Inc., because to us, serving our clients is caring for family. Surpassion Healthcare Services, Inc. is a family-owned and operated Agency that has provided compassionate care for you or your loved ones since 2010. Our care team has over 46 years experience in the industry lead by fully qualified and experienced personnel. 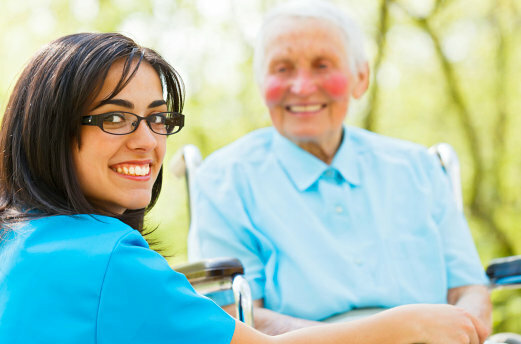 We understand that there are many other Home Healthcare agencies in Virginia. It is likely that we offer the same set of care services, however, the very difference that Surpassion Healthcare Services, Inc. will give, that no other agency can compare is the commitment we have to provide gracious care for you or your loved ones. When you count on us, we make the process of finding the care that you need smooth and effortless. Simply put, our Agency alleviates the need for you and your family to navigate through the maze of red tape created by the affluence of Federal, state, and local agencies in numerous locations. Experience the difference, call or visit to schedule an appointment to meet with one of our care associates! 540-412-5529 or 844-246-0203. It will be an honor to be entrusted with the care of you or your family. Thank you for the great acceptance that you have bestowed upon Surpassion Healthcare Services, Inc..